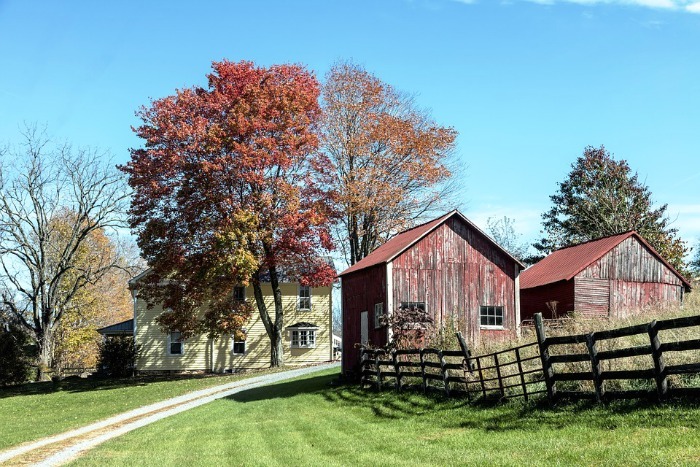 West Virginia is one of our favorite states to visit during the Fall season. Every couple of years we pack up the car and head down there to see some of the prettiest Fall Foliage that the east coast has to offer. As you drive through...you'll drive up the Appalachian mountains and down into beautiful valleys along the way. The state has a very unique country vibe and should be on every traveler's bucket list. Here are the official West Virginia State Facts and some Travel Tips. West Virginia joined the union in June 1863. It's ranked #38 in population and is the 41st largest state in the U.S.A. It's known for it's coal mining industries (one of the top coal producers in the United States), logging and manufacturing. Five largest cities in the state: Charleston, Huntington, Morgantown, Parkersburg and Wheeling. The eastern mountain areas in the state draw in a lot of tourists who enjoy a wide variety of outdoor activities such as: hiking, camping, hunting, fishing, rock climbing, biking, backpacking, whitewater rafting, kayaking, etc. The Appalachian Trail runs through the state and attracts thousands of visitors yearly. 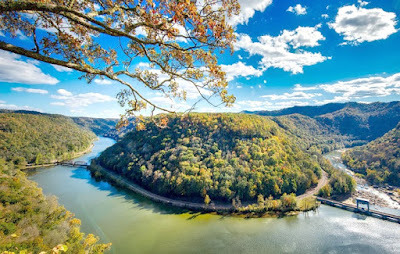 Top Tourist Attractions: New River Gorge Bridge, Harpers Ferry National Historical Park, Blackwater Falls State Park, West Virginia State Museum, Lost World Caverns, Cass Scenic Railroad State Park, Appalachian Trail, Seneca Rocks State Park, Cacapon State Park and Coopers Rock State Forest.